Infrared cameras are truly powerful tools for diagnosing problems & for performing preventive home or commercial energy appraisal & maintenance (Wikipedia). Infrared cameras, also called thermal imager cameras, allow you to capture crucial information that is typically invisible to the naked eye. Standard digital cameras acquire and display information from the visible portion of the electromagnetic spectrum. Infrared cameras, on the other hand, use IR-sensitive sensors to identify differences in temperature and represent them visually. Areas that have a higher temperature typically give off greater amounts of black body infra-red radiation. By revealing these heightened quantities of radiation, infrared cameras supply precise depictions of thermal characteristics. One buyer that we interviewed said that it was one of the most useful purchases that he has made. He bought it to audit his home insulation, check for hot and cold water leaks, inspect shorted resisters and transistors, and many more household applications. It was an effective tool for all of these uses. Another buyer told us that right out of the box he was able to spot 2 large heat leaks in his home, helping him to diagnose the problem, and saving him a ton of money when he decided not to undertake an ultimately unnecessary reinsulation fix. In terms of its resolution, buyers we interviewed told us that it was solid quality and if you aimed it at your feet from 5 feet away, it articulated individual toes. Let's take a look at 5 of the best-selling thermal cameras on the market today and see how they compare. Is a Digital Thermal Camera Right For You? 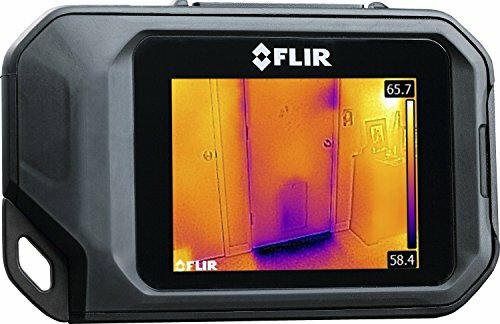 Weighing only 1.9 pounds, and featuring FLIR’s exclusive Lepton micro thermal sensor with 9Hz refresh rate and 150mK sensitivity, this thermal camera quickly finds unseen hot or cold spots for instant troubleshooting. It’s equipped with 80×60 resolution display and can be operated by anyone without any special training required. This product comes in 2 variants: standard or NIST (National Institute of Standards and Technology) certified, which guarantees quality but costs an additional $249.49. with only a minority providing lukewarm endorsements of this thermal imaging camera. It’s intuitive, precise and easy to use, which is the thing most customers really appreciated about this FLIR thermal camera. 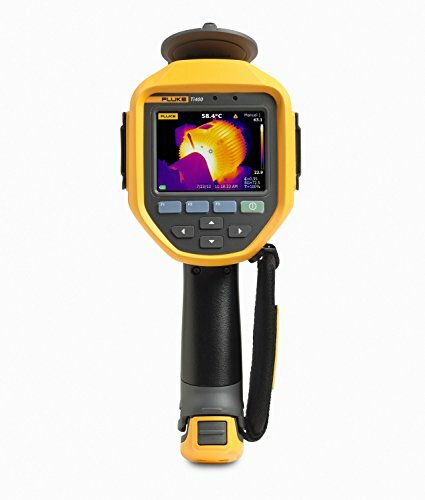 Designed for contractors and building industry experts, this lightweight and slim thermal camera can fit into any work pocket. It has a built-in LED display which can be used for photo illumination and as a flashlight. FLIR’s C2 thermal camera creates MSX-enhanced thermal images that provide stunning detail helping you identify the problem areas easier. The C2 thermal camera comes in a box with charger, lanyard, USB memory stick, USB cable, FLIR’s tool software and a user’s manual. One of the features customers liked the most is that this thermal camera captures digital images in the background making it easier to read where photos were taken. The FLK-TI400 is a high-end thermal imager featuring a 60Hz refresh rate and a full widescreen VGA color display where even the smallest details are visible. It operates at 60Hz and differentiates temperatures from -20 °C to +1200 °C (-4 °F to +2192 °F) at ± 2 °C or 2 % accuracy. There is no need for pen and paper because this thermal camera features voice recording software allowing you to make comments on each photo taken. Easy Wi-Fi connectivity enables you to quickly transfer images to PC, iPhone or iPad and SmartView mobile app allows efficient analysis and quick reporting from the field, making the FLK-TI400 the best choice for industrial workers, architects and contractors. Designed to make your job more efficient and faster, the r2100-NIST thermal camera is ideal for industrial and maintenance workers and can be purchased with or without a NSIT certificate. 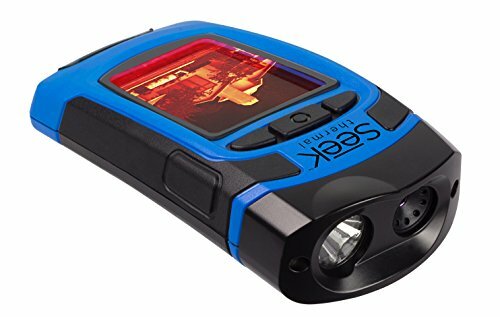 It features 7.5mm lens, 20x continuous zoom and a micro bolometer detector which creates high resolution IR images (160×120 pixels) which can be seen on a 3.5” color LCD capacitive touch screen. This thermal camera is optimized to measure temperatures from -20 °C to 400 °C (-4 °F to 752 °F) with <0.08 °C sensitivity which enables you to find and solve problems faster and easier. Seek’s Reveal is crowd favorite, economy thermal imager. Its slick blue design, ergonomic grip and angled display will make it easier for you to both take and read IR images. It weighs only 1.2 pounds and is able to detect temperatures from -40° to 626° F. One buyer described the Reveal to us as an amazing and extremely useful piece of technology for not a lot of money. Thermal imagery enables you to identify and deal with issues that would certainly otherwise go undetected. It enables engineers and electricians to identify overheating components, find flooded circuits and repair issues before they worsen. Building surveyors and energy auditors may also make use of thermography to locate spaces in insulating material, diagnose water damage and mold or track down drafty doors and windows. If you are using a digital infrared camera, it is possible to identify potential issues quickly and have an exact graphical rendering that will help you as you tackle them in real-time. Even though they can require a substantial financial payment, thermal imagers offer advantages which will surely provide you a long-term positive ROI. 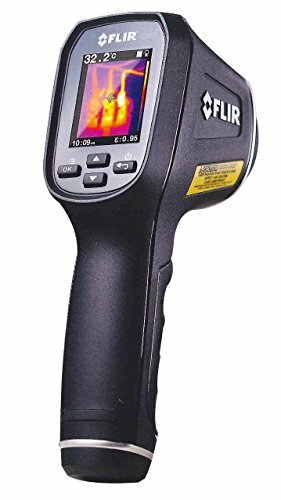 However, infrared cameras are complex gadgets, and you will find a great quantity specs, functions and features to dig through as you make a decision on one. In reality, just evaluating them by staring at the back of the box could be challenging. 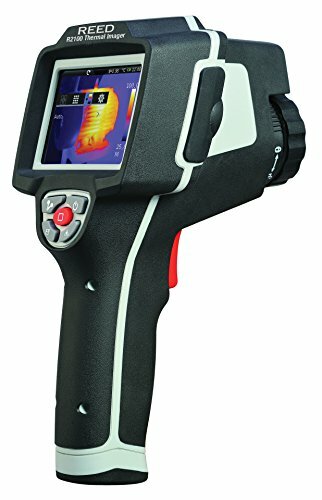 As a result of our deep evaluation of infrared cameras, something started to be apparent – these cameras are in reality amazingly comparable to one another across manufacturers as well as across the range of different price points – which is surprising considering some of these devices cost upward of $10 grand! So what exactly is it then that can cause such a vast cost range? In our 5 selections above, the range goes from a couple hundred to over $8,000! If they are all so equivalent, what exactly are you spending money on when you purchase a far more costly infrared camera? However, there are intricacies like temperature range, level of sensitivity and file format to take into consideration, what you are actually spending money on are a camera’s additional features and its infrared resolution. Above all else, both of these variables will impact the price and capability of your camera the most. 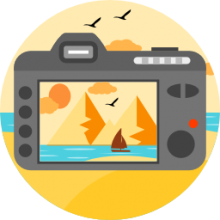 With regards to features, you will find generally 2 kinds of cameras: models that have all the features – Wi-Fi, autofocus, touchscreen, etc. – and more bare-bones units which include just the basics required to record infrared information. Those items that have a large amount of supplementary features are much more costly compared to those that don’t. Within these two types, you will find broad variations in imaging resolution. Cameras with out numerous features constitute the $1k to $4k range. Within this group, you will find few attribute variations, but a majority of price increases are caused by a steady rise in image resolution from 80 x 60 to 320 x 240. Cameras with full-featured specs, alternatively, make up the $4000 to $8500 range with small resolution increases again actively playing the most apparent role in every cost increase. Because of this, we do not advise purchasing a specific camera merely due to the fact it has the greatest score. Think about the features thoroughly and choose what you are able do without. If you do not need additional features, save yourself some cash and select some thing cheaper.